Over the past few weeks, I noticed a new ad popping up on my Instagram account for a women’s razor club called Billie. Their advertising campaign focuses on the “pink tax,” money that women have to pay for items that men pay way less for. I agree that razors are stupidly expensive, so I decided to check them out. Was this product really worth it? This is not a compensated review at all – Billie has no idea who I am. I’m just someone who is easily sucked in by marketing on inexpensive items that I essentially need anyway. Billie is a subscription, but you can cancel anytime. The starter kit comes with a handle, a magnetic holder, and two five-blade razor heads. The total cost? $9. Then, for additional $9 payments, you will receive 4 razor heads at an interval of your choice (every 1, 2, or 3 months, plus you can log in and skip a month if you want). Seemed reasonable, so I decided to give it a shot. My box arrived within a week of signing up. 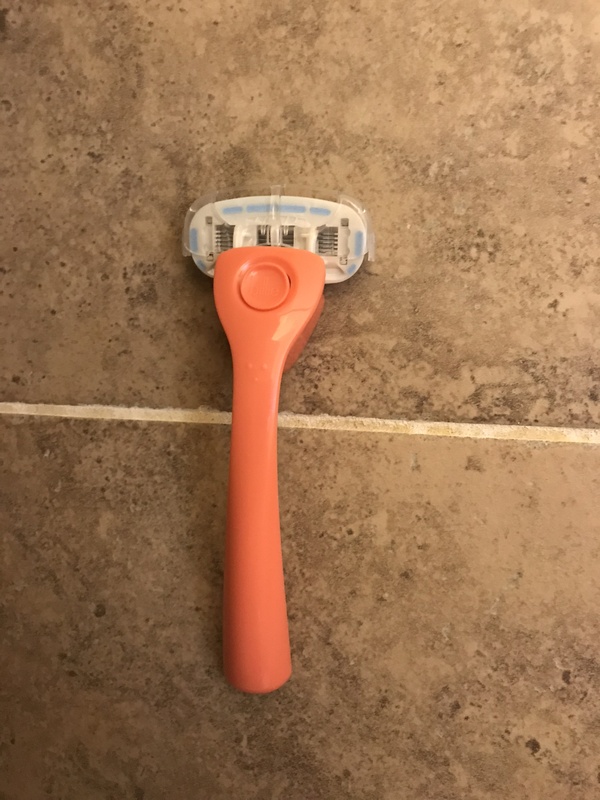 One cool thing about the Billie razors is that they have an aloe shave soap around the blades so you theoretically don’t need to use shaving cream or gel, thus saving you a bit more money. I remember trying razor blades with an included shaving soap many years ago and they were so bulky that I hated them. This was an intriguing change. So I took the razor into the shower and tried it out the next day. My thoughts? It’s pretty nice. It definitely performs well and the aloe soap was enough that I didn’t feel like I needed anything else for the shave. My legs were smooth and without any irritation. I also really liked the magnetic holder. It’s just a small triangular piece that sticks to the shower wall using a bit of putty. (It can be removed and replaced elsewhere, so no worries about damage to your shower.) My shower has textured tile, so a lot of products designed to suction to the walls just don’t work. This worked like a charm and that magnet is strong! That razor isn’t going anywhere. 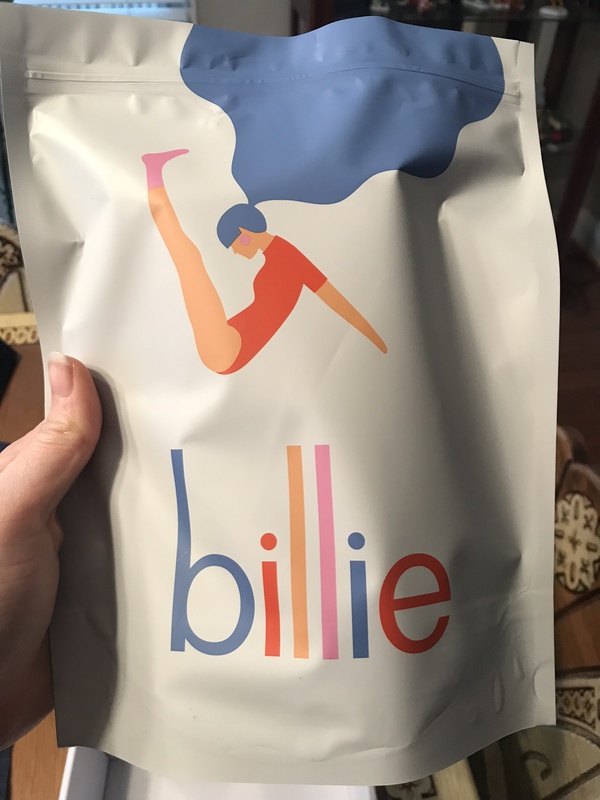 Okay, so Billie is a good product. But how does it compare to other similar services? I started with Dollar Shave Club. They only carry products for men. Their starter set, a razor, 4 cartridges, and a mini shave butter, currently costs $5. That’s super cheap! Their restock box contains 8 more cartridges and more shave butter, for $24.70. So that’s a total of $29.70 for the handle, some shave butter and a total of 12 cartridges. Billie comes out a bit more expensive at $27 for a handle and 10 cartridges. However, I suspect that the included shave butter is not enough for a woman to use and she will run out before she has used up her blades. Additionally, the razor isn’t designed for leg shaving, so the general build is slightly different. Next up, Harry’s. Starter kit is $8, and comes with a handle, one cartridge, and shave gel. An 8 cartridge refill is $15 (more if you get shave gel). This is definitely cheaper than Billie, with 9 cartridges and a handle for $23. Again, shave gel will need to be purchased, and the ergonomics are different, but if you’re in it purely for price, this might be the way to go. Finally, I took a look at my previous razor brand, Dorco. Ever heard of it? Probably not, but they make good razors that you can buy online without any subscription plans. They have both men’s and women’s specific razors. 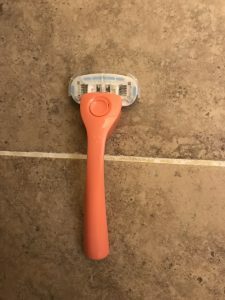 Dorco doesn’t have a five blade razor, but they do have a six blade, so for this, I compared their least expensive six blade razor, the Shai Smooth Touch. The handle set includes a handle and two blades for $6.25. Four refills are $7.95, with discounts available if you buy larger quantities. And they do offer free shipping. So to do the comparison, a handle and ten blades is going to cost you $22.85, the cheapest of the bunch. You will have to purchase shave gel, but this is likely the best bang for your buck. Of course, none of this is comparing the quality of the products. 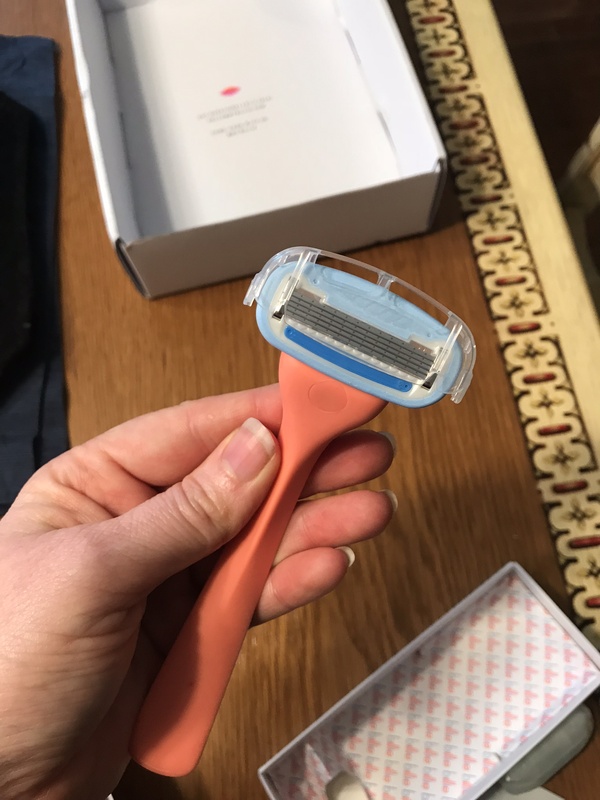 I will say that the Billie razor feels more solid than the Dorco razors, but I’m not sure that’s the best indication of quality. I like the feel of the Billie so for now, I’m going to give it a try. I have my next refill setup for 3 months from now, so I’ll be alternating between Billie and Dorco for the next few months and see which I like better. Thanks for the informative review and price comparison! Any update? I’m still trying to decide. I would like to know which you decided to stick with? I’m looking for a new razor.